How do i use this process to connect from my pc? I mean how do we finish it with the last step “Create a new relational connection using the HANA JDBC driver”? I’m stuck in the same step,, could you please help us ? You need to create a corresponding connection in the Information Design Tool. Sorry guys. If you don’t know the basics about BusinessObjects read the manuals first or watch tutorials on http://scn.sap.com ! Note: The IP address might change after restart of the instance in CloudShare. I did this process and it now recognizes my cloudshare hana instance and shows green light for Hana system. But every time I start the instance, my Hana Server on Cloudshare is throwing a dynamic ip address. So Is there a way to use vanity url name in windows hosts file so it never changes. No. hosts file contains the IP to hotsname mapping. Either you have to update the IP in the hosts file manually or write a script for the update. Using vanity URL does not help, since the hostname in the hosts file needs to match the hana server/DB hostname. I have been trying to resolve this issue since long. I don’t know where find the Information Design Tool in my computer. The Information Design Tool is a SAP Business Objects tool, to design Universes and other objects related to BI in the SAP world. You can download it from SAP Marketplace if you are part of a company that owns licenses, or if you purchase SAP Business Objects yourself. I have created my connection to our HANA without an issue. Thanks to this great article, help that not even SAP know the answer, nor wanted to spend the time and provide one. Satish, Can you copy and paste the line you added in the hosts file for IP-to-host mapping? i did ping to the external ip provided to me by cloudshare and got the mentioned ip. 1) Get your hana server/DB Linux hostname (this is probably hanacloud). 3) While adding the system in the Hana studio use hanacloud (don’t use xxxx.vm.cld.sr). Status still remains in yellow. and i can find some services are not started. how can i we the list of services those are not started. and my servers are in green status in the tab landscape. in your C:\Windows\system32\drivers\etc\hosts file using Administrator (right-click on Notepad >> Run as Administrator >> open hosts file), then you should be able to add hancloud as the hostname when you add the System in HANA studio Navigator (SAP HANA Systems) tab. Double-click the System or right-click >> Administratror. For adding a new system I followed the steps provided by you including the vanity URL and all. MY question is when i enter the host name and instance number, after that in the next screen it ask me for user name and password. I am wondering which username and password it is asking for. Do i need to create new user name and password there which I’ll be using in further development or what. Please help. branger–Thanks so much for blogging on this topic–it really is nice to have a visual as way to assure you’re headed down the right path. pay attention to which odbccad*.dll you use to create the dsn–one is under system32 another will be under syswow64. if you pick the wrong combo you’ll get a mismatched architect message. Thanks for the great blog Raphael Branger, really a great help. But i am stuck in a slightly different situation. 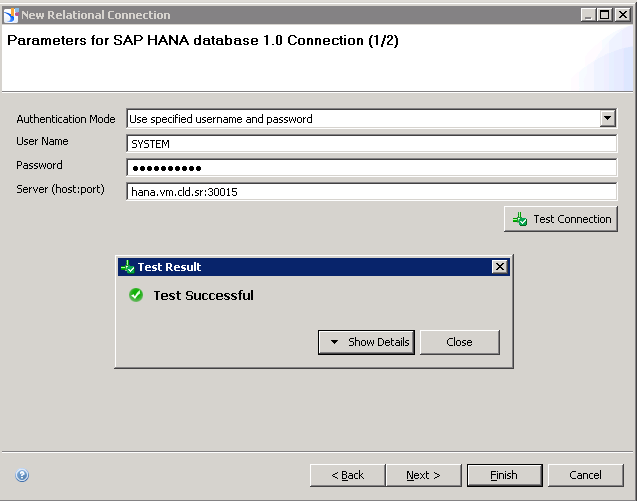 i am trying to connect to hana database from HANA studio installed on my personal computer. I don’t have access to IDT. Now in this situation is there any way i can make the relational database connection. You don’t need the relational database connection if you want to connect from your HANA Studio. Great blog! However I have a issue since the day I started the trial version. When I try to add the system, I am using the credentials as SYSTEM and password as manager as stated. The port it selects by default with the Vanity URL is 30015. I have tried it changing to 8080 as well. The receive the message “The system cannot be reached. The login data could not be used.” I have followed all the steps but still the issue persists. I also noticed that all my colleagues who installed a week ago are able to work fine and all those who installed and started the trial period this week are facing the issue. I am not sure what is the issue. Could you help? Sorry, no clue as I’m currently not actively using HANA on cloudshare. My colleagues do but I haven’t heard that they might have problems. The only thing I’ve heard on Twitter was that SAP is currently revising their platform on Cloudshare and update HANA to the latest revision. As far as I know you are not suppose to change the port number. There will be a default vanity url for each VM when you create your environment. You can change HANA server vanity url name” as mentioned in above screen shots”.The same should be provided while creating a system. Remember, in host name section “Do not change port number”. Follow the below steps to create a system. 2. In case if you changed SAP HANA server “Vanity URl”, you need to use that as a Host name. The issue seems to be caused by a corrupted secure storage file. 1. 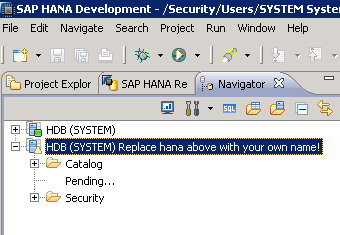 Delete your HANA connection on the Navigator tab in HANA Studio, and then close the HANA Studio. 2. Open windows explorer, and navigate to C:\Users\Administrator folder on your Cloudshare desktop. 4. Open your HANA Studio and set your HANA DB Connection again. You will be prompted to set the password reminder for secure storage file. You can choose “No”. 5. After that, the new “.eclipse” folder and the new secure storage file will be recreated. 6. Close and re-open your HANA Studio, to verify that the workaround fixed the connection issue. 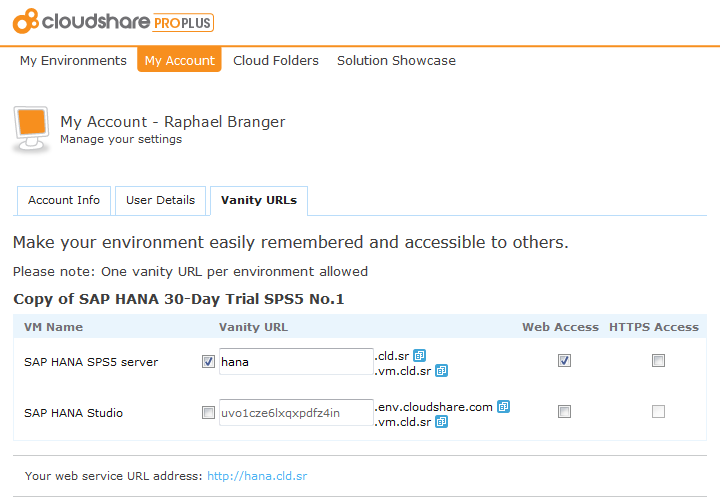 i am accessing HANA from HANACLOUD..
can you please help me on this…. 2. not able to load the content for SFLIGHT sample data…can you please help me on this. checked box “Fetch all database catalog objects” and applied the change. Refreshed the Catalog tree but saw no SFLIGHT schema. I’m bit new to could share. Can you help as with my connectivity Issues as I’m first time trying to connect to hana cloud share (30 days evaluation) and followed the steps for adding the system but it throws errors like “the system cannot be reached. the login data could not be used. can not access the system on host ‘handcloud’ etc. I’m sure, I might be missing something. Please throw some light. In which stage are you in now? Are you still facing probs while configuring ? I am having the same problem when trying to instal HANA on my laptop. Maybe final sombody from the GURU’s is going to provide step by step instrction, so everybody can enjoy trial version. It is easy to just say it should work I doean not work so inform everybody how to do it. 5. 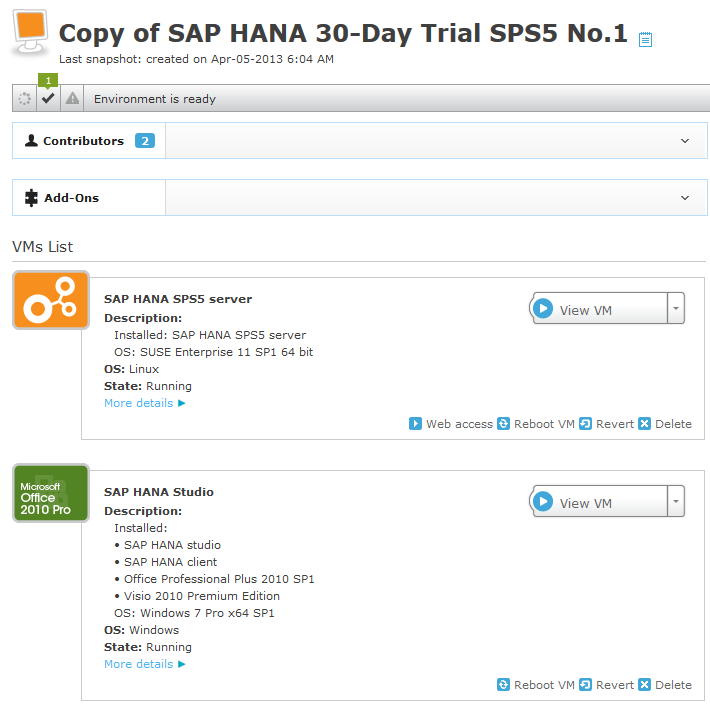 Installed HANA studio and HANA client from the SAP site download. Also JAVA 1.7 is required to install and restart your PC. 9. 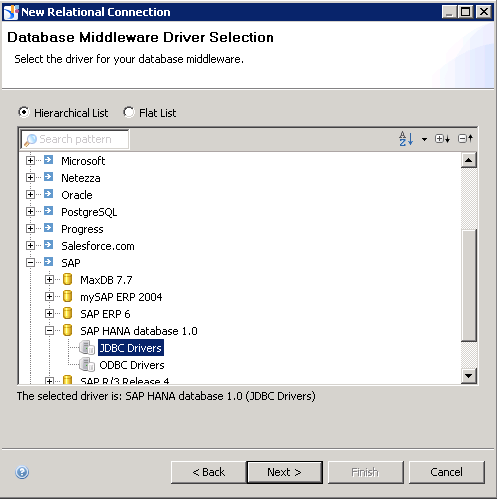 Part of HANA JDBC driver is not clear at all. User Piyush Ranjan Mishra expalined to run on the remote desktop http://hanacloud:8000. My question what thi si solving. I was tryiing diffrent solutions for last 3 days. Non of them is working. I guess best option is just to do step by step instrcution with the print screen and then all questions answered. Lets not ask tons of question but create instruction diffrent from those provided by the SAP itself. Are you still facing the problem regarding your point “8” and “9”? Following your instructions I could solve all the issues you faced but I cannot launch the applications I developed with the the SAP HANA studio. The web access – http://hostname:port/application.xsjs was not found. Did you have a silimar problem? I have connected to HANA DB Server with my Local HANA Studio. 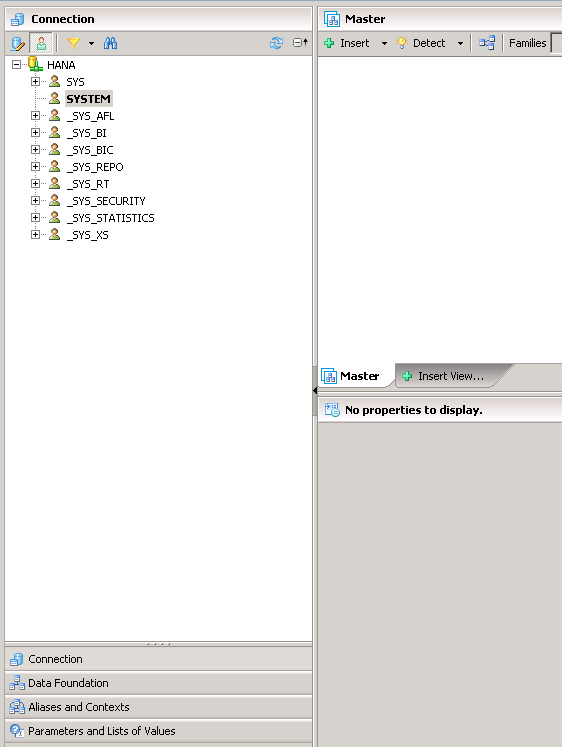 Now i am trying to create table structure and load data into HANA DB through data servicies. I have completed the step till configure import server. Next when i click on import under content section in hana studio, i am not getting ‘Information Modeler’. Pleease help me on this. I followed your posts but I did not find a solution for my issue. 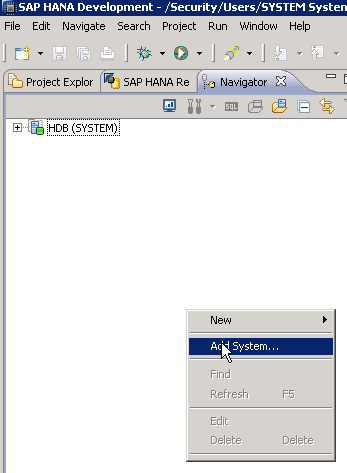 The HANA JDBC driver works, I also modified the Windows host file as above mentioned. I have a question regarding the secure storage in hana studio. I am using hana via cloudshare and recently my secure storage was locked. I´ve read that this can happen if the the secure storage file is corrupted. My question is how the secure storage is getting corrupted and is this a general problem or can this problem be fixed by sap? As of July 15, 2014, the Cloudshare 30 day free trial is no longer available. Please check out our SAP HANA Developer Edition page, on SCN, for other options to run the latest version of SAP HANA.